This 11" x 8.5" book has forty four pages containing about 200 traditional mehandi designs and illustrations for the feet, hands, fingers, & shins; designs include such things as: Flowers, Lacy/Paisley Patterns, Figures, & more. It also describes the method of applying mehandi in ten languages. This 11" x 8.5" book has 63 pages containing about 125 traditional mehandi designs and illustrations for the feet, hands, fingers, & shins; designs are more bold in nature & include such things as: Bindi Patterns, Flowers, Paisley Patterns, Figures, & more. This 11" x 7" book has forty eight pages containing about 200 traditional mehandi designs and illustrations for the feet, hands, fingers, & shins; these designs are bold and simpler than the other books and show many designs including: Flowers, Lacy/Paisley Patterns, Figures, & more. 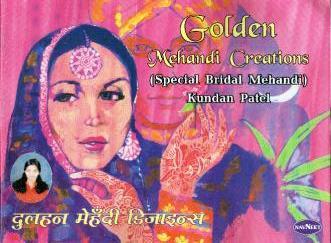 It also describes the method of applying mehandi in four languages. This 8.5" x 11" book has 24 FULL COLOR pages containing about 60 traditional mehandi designs and illustrations for the feet, hands, fingers, & shins. Designs are in full color and the images contain all sorts of ideas for Body Paint, Glitter & Bindis. Images are mainly Geometric in nature, Paisley or Floral. This 11" x 7" book has forty five pages containing about 200 traditional mehandi designs and illustrations for the feet, hands, fingers, & shins; designs include such things as: Flowers, Lacy/Paisley Patterns, Figures, & more. It also describes the method of applying mehandi in ten languages. This 8.5" x 11" book has forty six pages containing about 200 traditional mehandi designs and illustrations for the feet, hands, fingers, & shins; designs include such things as: Flowers, Lacy/Paisley Patterns, Figures, & more. It also describes the method of applying mehandi in six languages. This 11" x 8.5" book has fifty pages containing about 200 traditional mehandi designs and illustrations for the feet, hands, fingers, & shins; designs include such things as: Flowers, Lacy/Paisley Patterns, Figures, & more. It also describes the method of applying mehandi in ten languages. This 11" x 8.5" book has forty eight pages containing about 200 traditional mehandi designs and illustrations for the feet, hands, fingers, & shins; these designs are bold and simpler than the other books and show many designs including: Flowers, Lacy/Paisley Patterns, Figures, & more. 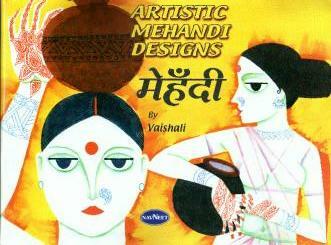 It also describes the method of applying mehandi in two languages. This 11" x 8.5" book has sixty pages containing about 200 traditional mehandi designs and illustrations for the feet, hands, fingers, & shins; these designs include such things as: Flowers, Lacy/Paisley Patterns, Figures, & more. It also describes the method of applying mehandi in ten languages. This 11" x 9" book has fifty nine pages containing about 200 traditional mehandi designs and illustrations for the feet, hands, fingers, & shins; these designs include such things as: Flowers, Lacy/Paisley Patterns, Figures, & more. It also describes the method of applying mehandi in ten languages. This Excellent 11" x 9" book has sixty pages containing about 200 traditional mehandi designs and illustrations - some of which are in glossy color. Designs are for the feet, hands, fingers, & shins; these designs are bold and simpler than the other books and show many designs including: Animals such as Elephants/cats, Flowers, Lacy/Paisley Patterns, Figures, & more. Also has a number of Bindi/Nail designs plus has a great historical, recipe, & advice page in four languages! This Unique 8.5" x 10" book contains Fantasy (Hindu/Egyptian/Asian etc...) Designs for the feet, hands, fingers, & shins. The pages are glossy and the photos throughout are of actual hands/feet, the deisigns shown are drawn on in colored Ink. 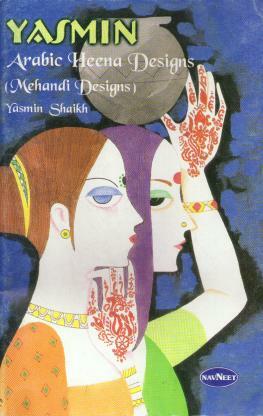 Book also contains some Bindi designs and has a small section about Henna/Mehandi. This 8.5" x 11" book contains Folk (floral/mandalas/geometric etc...) Designs for the feet, hands, fingers, & shins. The pages are glossy and the photos throughout are of actual hands/feet, the deisigns shown are drawn on in colored Ink. Book also contains some Bindi designs and has a small section about Henna/Mehandi plus a recipe/instructions. Instructional Book with Hundreds of Traditional Designs, Patterns, & Drawing Exercises for Hands, Feet, Shins, Arms, etc.... Designs include such things as: Flowers, Lacy/Paisley Patterns, Figures, & more. This 5.5" x 9" book has eighty seven pages containing about 150 traditional mehandi designs and illustrations for the feet & hands; these intricate designs include such things as:Flowers, Lacy/Paisley Patterns, Figures, & more. It also describes the method of applying mehandi in ten languages. This excellent Instructional Book has Hundreds of Traditional Designs, Patterns, & Drawing Exercises for Hands, Feet, Shins, Arms, etc.... Designs include such things as: Flowers, Lacy/Paisley Patterns, Figures, & more. Another excellent Instructional/Practice Book with Hundreds of Traditional Designs, Patterns, & Drawing Exercises for Hands, Feet, Shins, Arms, etc.... Designs include such things as: Flowers, Lacy/Paisley Patterns, Figures, & more. This 5.5" x 9" book has seventy one pages containing about 150 traditional mehandi designs and illustrations for the feet & hands; these intricate designs include such things as: Flowers, Lacy/Paisley Patterns, Figures, & more. It also describes the method of applying mehandi in ten languages. This 5.5" x 9" book has seventy pages containing about 150 traditional mehandi designs and illustrations for the feet & hands; these intricate designs include such things as: Flowers, Lacy/Paisley Patterns, Figures, & more. It also describes the method of applying mehandi in ten languages AND diagramed instructions on Cone Preparation. 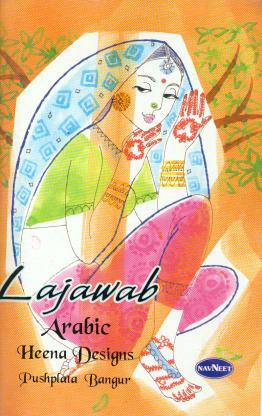 This 5.5" x 8.5" book has 48 pages of Traditional ARABIC Henna Designs for the hands and feet. Each page has one traditional mehandi design and illustration for either the feet or hands; the designs include such things as: Flowers, Lacy/Paisley Patterns, Figures, & more. This 4.5" x 7" book has 40 pages of Traditional Henna Designs for the hands and feet. Each page has one traditional mehandi design and illustration for either the feet or hands; the designs include such things as: Flowers, Lacy/Paisley Patterns, Figures, & more. Book Also includes 3 Recipes for Mixing Henna Powder. This 4.5" x 7" book has 40 pages of Traditional Henna Designs for the hands and feet. Each page has one traditional mehandi design and illustration for either the feet or hands; the designs include such things as: Flowers, Lacy/Paisley Patterns, Figures, & more. This 4.5" x 7" book has 96 pages of Traditional Henna Designs for the hands and feet. Each page has one traditional mehandi design and illustration for either the feet or hands; the designs include such things as: Flowers, Lacy/Paisley Patterns, Figures, & more. This 4.5" x 6.5" book has 26 pages of Traditional Henna Designs for the hands and feet. Each page has one traditional mehandi design and illustration for either the feet or hands; the designs include such things as: Flowers, Lacy/Paisley Patterns, Figures, & more. Also includes instructional method on applying Henna and Method of Cone Preperation.